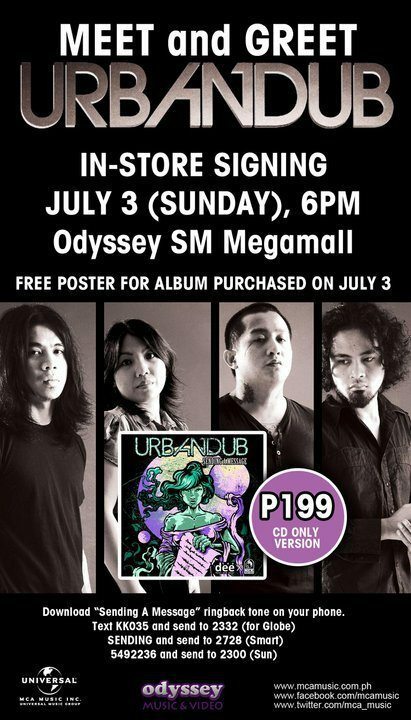 Meet and Greet Urbandub this Sunday, July 3, 6pm at Odyssey SM Megamall! Free poster for every purchase of “Sending A Message” (TeeDee available for P699 and CD only for P199). Download “Sending A Message” ring back tone on your phone. I want, I want! Thanks for this, punta kami ni hubby!